Safety and precautionary measures while driving have been described as the best ways to reduce road accidents during and after the yuletide. This was disclosed by Abeokuta Branch Chairman of the Nigerian Society of Engineers, Engr. Dr. O.A. Apampa, FNSE during the ember months Sensitization Campaign Organised by the Nigerian Society of Engineers Abeokuta Branch in conjunction with Ogun State Traffic Compliance and Enforcement Corps (TRACE) and Ogun State Parks and Garages Development Board (PAGADEB) yesterday within the Ogun Central Senatorial District. 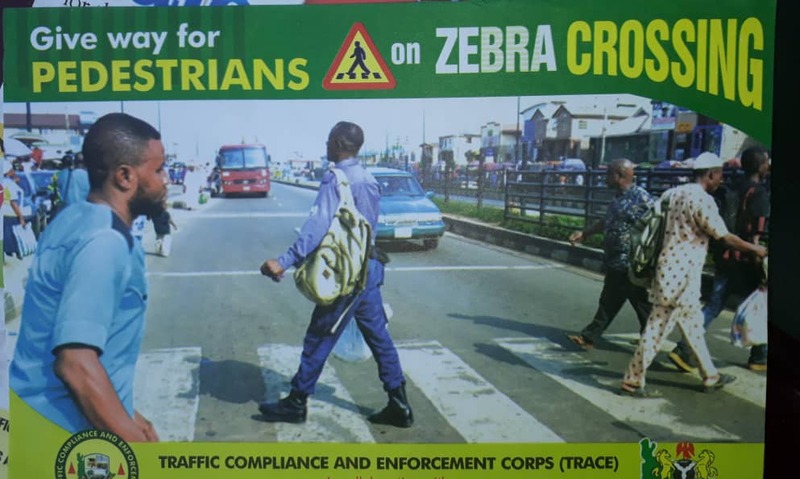 The Safety Campaign which wa carried out in all the towns within Abeokuta metropolis, started from Kuto (where it was flagged off) to Isabo – Isale Igbein – Sapon – Itoku – Totoro – Omida – Panseke – Oke Ilewo and ended at Ita – Oshin. The NSE Abeokuta Branch Chairman, Engr. Dr. O.A. Apampa, FNSE led the NSE delegation, while The TRACE State Commander Cdr. Seni Ogunyemi led the TRACE delegation. Also, Ogun State Parks and Garages Development Board (PAGADEB) were in attendance with their different Union representatives – NURTW, RTEAN, TORAN, AMORAN, ACOMORAN, among others. At each Motor Park, Cdr. Seni Ogunyemi sensitized the commercial vehicle drivers on the need to be safety conscious, obey traffic laws and speed limits while driving. He admonished all drivers to ensure that all safety rules and regulations are obeyed at all times. Also, he warned all the drivers to desist from alcohol while driving and frowned at those selling alcohol within motor parks. Earlier in his own message, Engr. Dr. O.A. Apampa, FNSE emphasized on the need to check the tyres regularly and also reminded the drivers not to drink while driving. Also, contributing at the exercise were the Chairmen of each Unions. Highlight of the Safety Awareness Campaign exercise was the distribution and pasting of the Safety Awareness Campaign Stickers and flyers to the Motorists at the Motor Parks and within Abeokuta metropolis generally. The Ogun State Parks and Garages Development Board (PAGADEB) have decided to join in this year’s safety rally which was started few years ago by the Abeokuta Branch of Nigerian Society of Engineers with Ogun State Traffic Compliance and Enforcementh Corps (TRACE). The Safety Campaign continues tomorrow as this year campaign will be! across the three (3) Senatorial districts of Ogun State. The event was covered and broadcasted by both TV and Radio Stations (OGTV, NTA, OGBC among others). Meanwhile, the Abeokuta Branch Chairman, Engr. Dr. O.A. Apampa, FNSE will feature in today’s (19/12/18) programmed on Ogun State Television (OGTV) tagged “Safety Half Hour” by 11am. On his part, the Chairman, NSE, Ogun State Chapter, Engr. Olanrewaju Apampa, FNSE, noted that an emotionally balanced driver would be in total control of his vehicle while on the road, charging drivers to do all within their means to safeguard the lives of passengers. “We are here to reinforce the efforts of TRACE, to ensure safety on our roads and to pass on our message that the three elements of traffic engineering; the driver, the vehicle and the road can work in tandem, if the most element, that is, the driver, is emotionally balanced”, he revealed.